Just a quick chili post today. We went for spicy; 5 tabasco peppers did the job! If you don’t like spicy this chili would still be tasty without the tabasco peppers or another type of hot pepper would work if you like a different kind of heat. 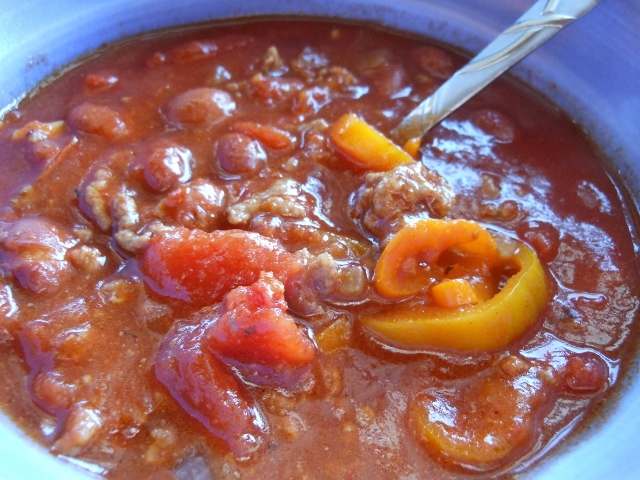 Cook ground beef, onions, garlic, bell peppers, and tabasco peppers. Drain excess fats if needed and return to stock pot. 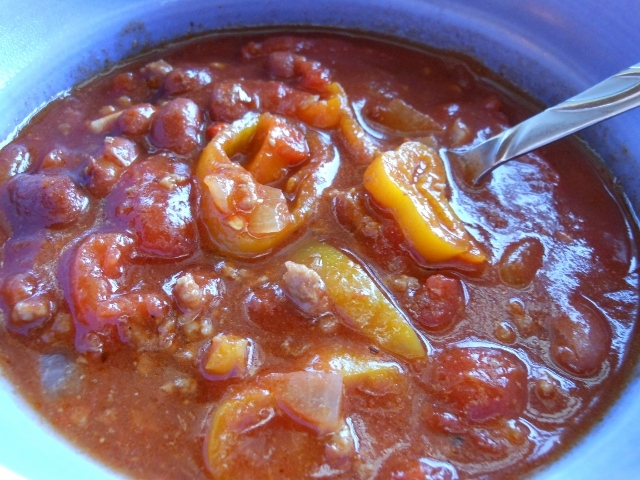 Stir in chili powder, chili beans, and tomatoes. I smashed up the whole tomatoes and brought to a simmer. Cook for 20 – 30 minutes or longer to combine flavors.